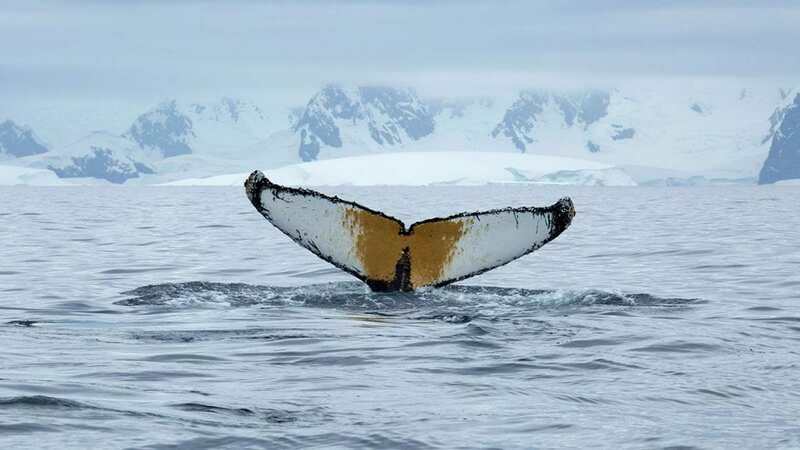 Researchers from the Woods Hole Oceanographic Institution (WHOI), Duke University, and the University of California, Santa Cruz, analyzed bacteria on skin samples collected in early summer from 89 healthy humpback whales in waters off the Western Antarctic Peninsula. Nearly all had six core communities of bacteria living on their skin. By late summer, after the whales had been feeding and gained weight, the scientists found that four new groups of bacteria emerged and joined the microbiome on almost all the animals. The study, which is the largest-ever of the whale microbiome, shows that monitoring whales’ skin microbes could offer a way to assess their health and nutrition over different seasons and environmental circumstances, and also to detect how they are affected by climate change and human-caused impacts on ocean ecosystems. The paper published February 14, 2018, in the journal Applied and Environmental Microbiology. 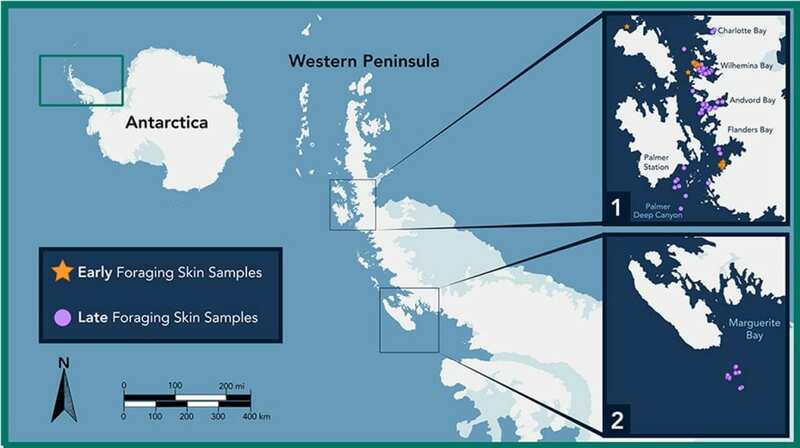 The research team sampled skin from humpback whales just arriving to feed in waters off the Western Antarctic Peninsula in early summer in 2010 and again in late summer in 2013. 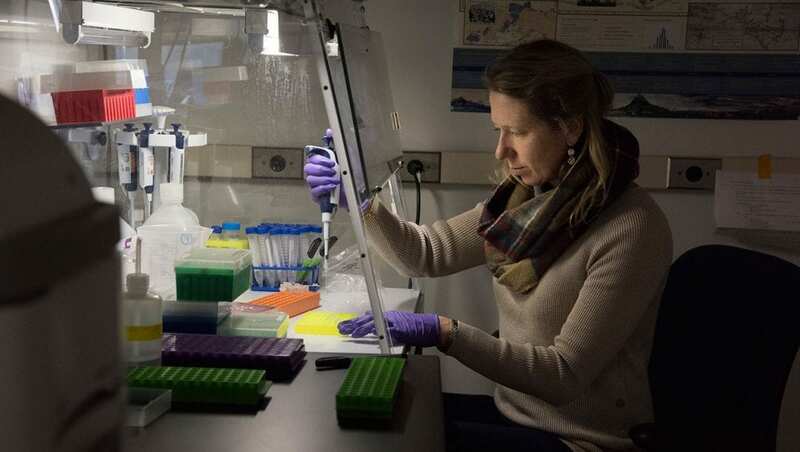 The six core skin bacteria found in this study overlap with the researchers’ previous studies of skin samples from whales in tropical waters and in waters off Cape Cod, says Amy Apprill, a microbiologist at WHOI and coauthor. The analyses of skin samples in late summer showed that the whales’ microbiome changes, perhaps in response to seasonal shifts in water temperature. But the microbes may also be affected by less predictable changes, such as the amounts of sea ice, Apprill says. Variations in whales’ skin microbiome could help scientists diagnose any changes in whales’ health in response to pollution, ecosystem disruptions, and climate change. Researchers aren’t sure yet how the bacteria are specifically interacting with the whales or each other. They could be keeping the whales clean of fouling organisms or producing antibiotics to fend off potential pathogens, says Apprill. Figuring out the specific roles of the core bacteria will be the next step in this important research that could lead to the development of a health index to assess the overall health of these endangered marine mammals. The WHOI research was supported by a crowdfunding project, “Bacterial Buddies,” which raised $6,000 to cover lab and DNA sequencing costs. 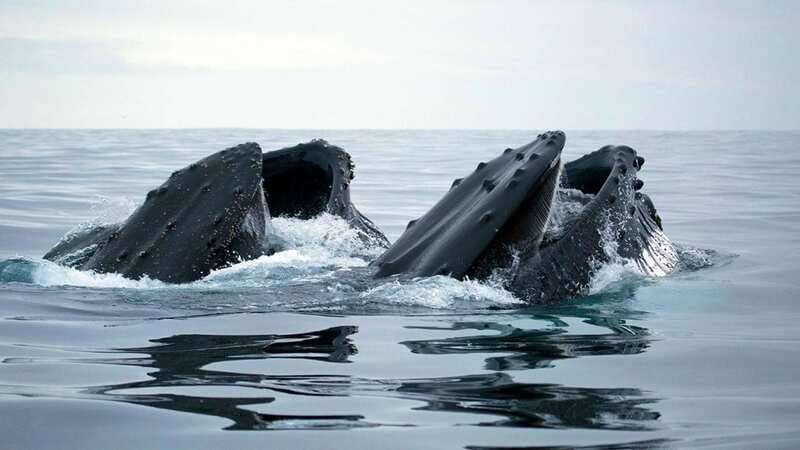 Humpback whales are found in every ocean. They travel thousands of miles during their seasonal migration, also coming into contact with numerous bacteria and other microbes along the way. Photo by David W. Johnston, Duke University. The research was authorized by NOAA permit #808-735 and Antarctic Conservation Act permit #2009-14. Changes in the skin microbiome could help scientists diagnose whales’ health changes in response to pollution, ecosystem disruptions, and climate change. Photo by David W. Johnston, Duke University. The research was authorized by NOAA permit #808-735 and Antarctic Conservation Act permit #2009-14.